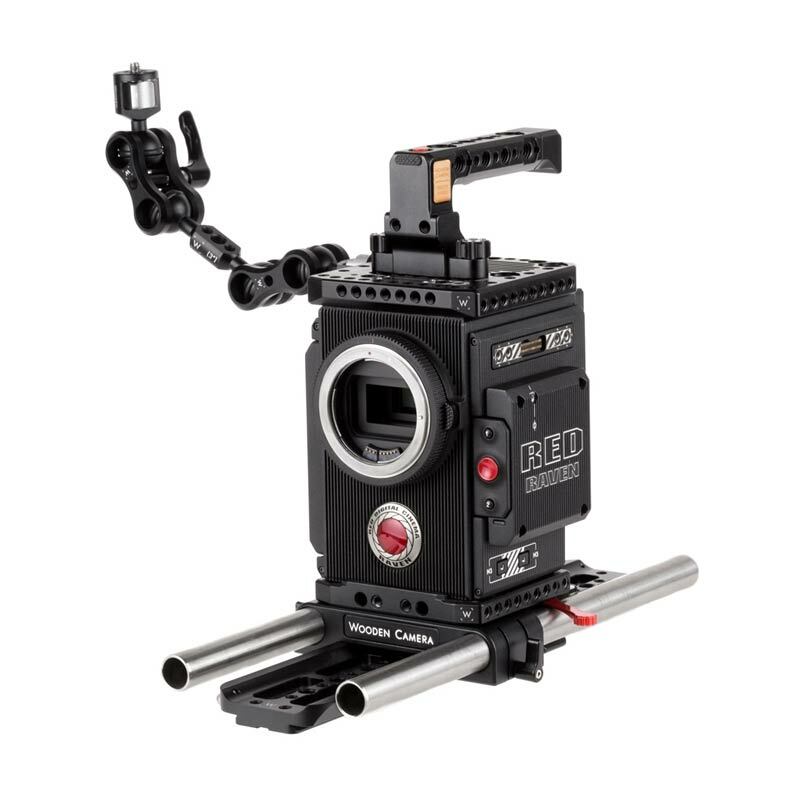 The RED DSMC2 Accessory Kit (Pro, 19mm)includes the Easy Riser, a baseplate that has 1/4-20 and 3/8-16 mounting points on the bottom, provides 1/4-20 holes on the side for attaching accessories and also brings the camera up to correct lens height when using the included Unified Bridgeplate (19mm). 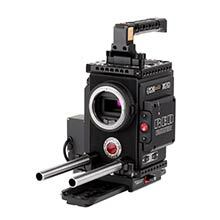 The Unified Bridgeplate (19mm) holds 2x 19mm Rods (12") and attaches to the ARRI standard Safety Dovetail (12"). 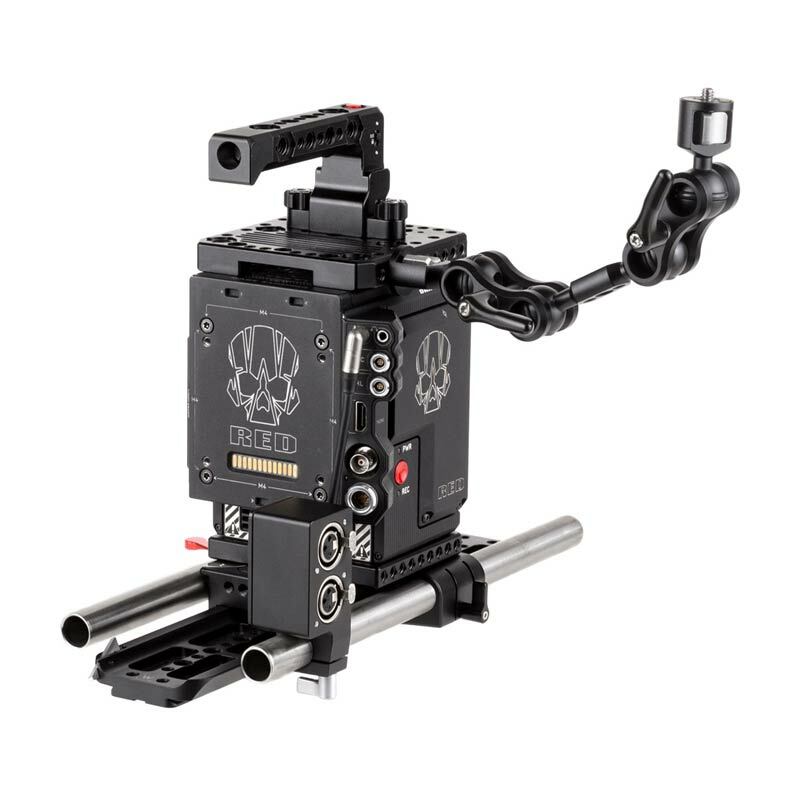 On top of the camera, the Pass Through Top Plate (RED DSMC2) provides 26pin LCD Connection and 3pin trigger handle interface. 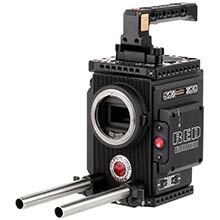 The Trigger Handle (RED DSMC2) is a tool-less handle that can trigger the camera through the 3pin pogo interface on top of the camera or Pass Through Top Plate (RED DSMC2). 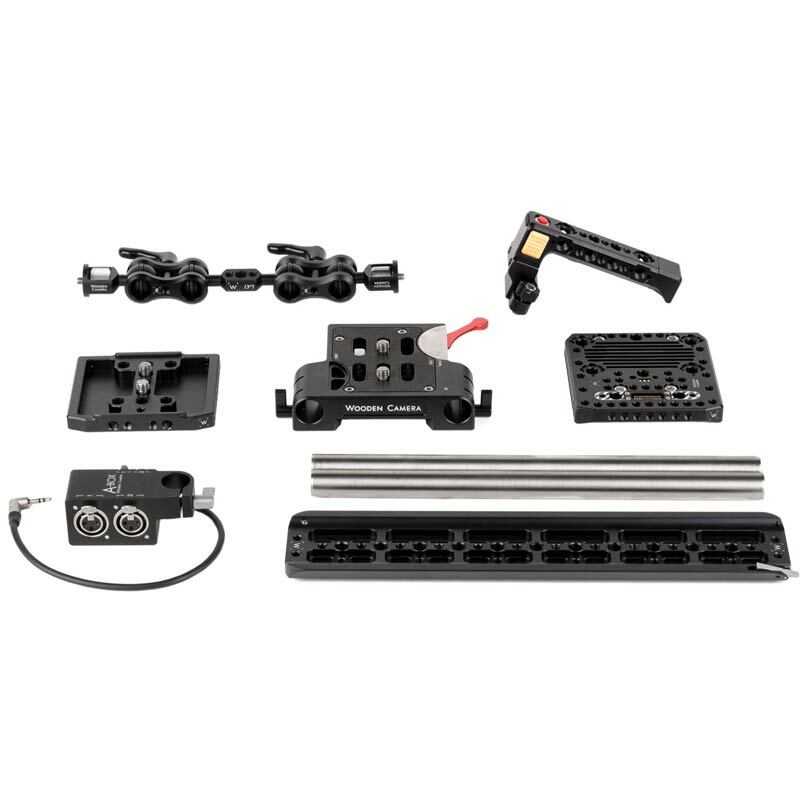 The Ultra Arm Monitor Mount (1/4-20 to 1/4-20, 3") is an articulating arm with two sets of 25mm (1 inch) double ball joints which allow a monitor or accessory to be positioned in almost any orientation. Tool-less 1/4-20 screws on each end with non-slip rubber pads make accessory installation quick and easy. 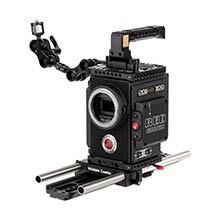 The A-Box (RED DSMC2) plugs into the RED Base Expander Module and converts the 3.5mm microphone input into two industry standard XLRs. Note that the Base Expander Module is required for the A-Box to function and phantom power is not available.